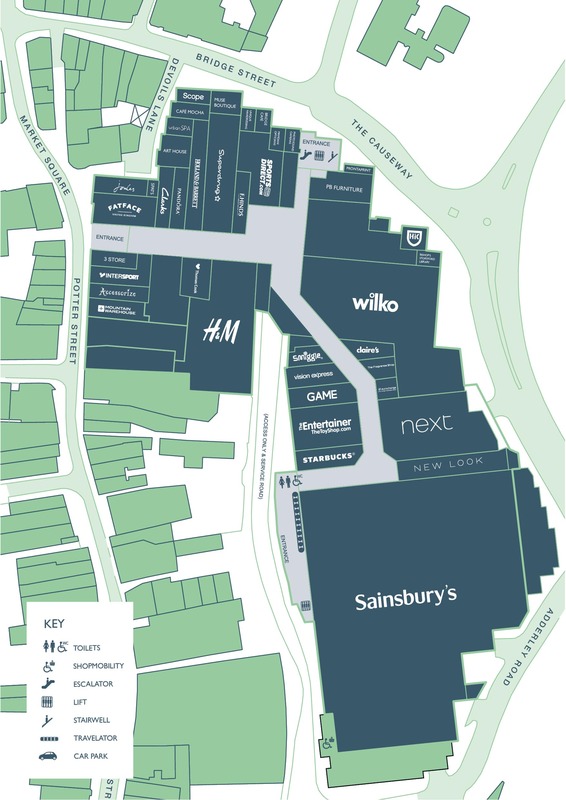 Jackson Square Shopping Centre in Bishop’s Stortford has announced a £5.5 million revamp that will see the reconfiguration of shop units, a roof extension to provide more than 1,000 sq m of additional retail space, a new Potter Street entranceway and alterations to improve the current Potter Street frontage. As part of the works, Jackson Square owners, Legal and General Investment Management Real Assets (L&G) will reconfigure the QD unit and refurbish Potter Street signage and entranceway. Led by architects Broadway Malyan, and project managed by Turner and Townsend, development plans see the current QD unit cease trading in early January 2017 and subdivided to create two new units facing onto Potter Street, whilst also helping to reconfigure space inside Jackson Square to make way for a popular large fashion retailer due to open in the centre in late 2017. The Potter Street signage and entrance works will begin towards the end of Spring 2017 with a completion date in Autumn 2017. Throughout the duration of the works the Potter Street entrance will still be accessible to customers.